Members of both the treasury and opposition benches came down heavily on Finance Minister AMA Muhith on Sunday for the prevailing ‘indiscipline’ in the banking sector. They came up with the salvo while taking part in discussions on the supplementary budget for 2017-18 fiscal. He also asked the Finance Minister to hold the culprits behind the siphoning off money. 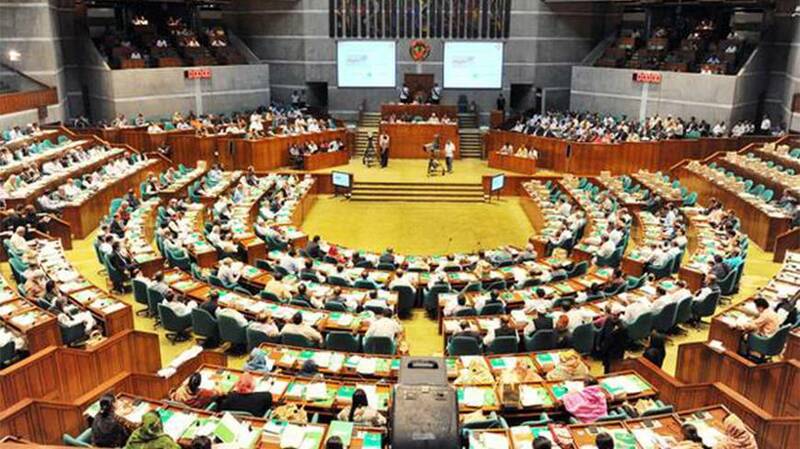 Ali Ashraf, elected from Comilla-7, said the investors will feel discouraged if the country fails to get out from the ‘looting culture’ in the banking sector and restore discipline. “You must book the looters to revive the confidence of people…you must ensure good governance, you’ll have to do these things with a strong hand,” he said. Talking about loan defaulters, the independent MP elected from Pirojpur-3, said many people know that who are the loan defaulters as these people take loan from various banks. He criticised the Finance Minister’s proposal in the budget to reduce the corporate tax of banks, insurance and financial institutions. Faraji asked the Finance Minister to form a commission to realise the defaulted loans. Regarding corruption in the administration, he said corruption prevails at every level and corruption is going on even after the enhancement of salaries of public servants. “After the increase of unbelievable salaries why the public servants are indulging in bribery,” he questioned. Lack of monitoring is behind the continued corruption by the public servants, he said. Jatiya Party MP Kazi Firoz Rashid said the looting in Bangladesh banking sector is the second biggest incident after the looting incident of Somnath Mandir of India by Sultan Mahmud Gajni. Pointing to AMA Muhith, he asked why the Finance Minister gave the scope to the bank robbers. “Why do you give them protection,” he said. Firoz Rashid, elected from Dhaka-6, said the bank looters looted Sonali Bank and Farmers Bank. “What justice have people got? You have given permission of the bank, people deposited their money in it and their money has been looted,” he bemoaned. He asked the Finance Minister to put Farmers Bank on auction. Jatiya Party MP Pir Fazlur Rahman said the MPs were talking about the loops of the banking sector in the last couple of years. “Looters are taking away money, the Finance Minister are providing capital with taxpayers’ money. And this money is looted by some people,” he said. He sharply criticised the Finance Minister for not forming the commission for the banking sector reform.